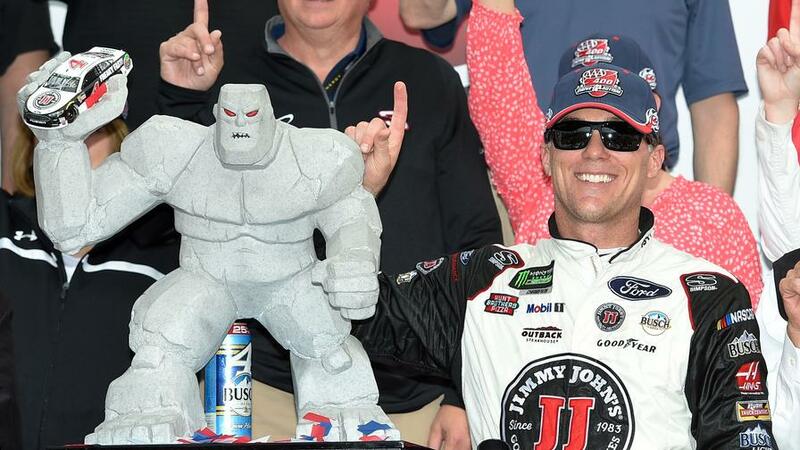 Kevin Harvick won the spring race in Dover and has stayed hot since. Which drivers have a chance to knock him off his throne at the Gander Outdoors 400? Later in the week, once qualifying is in the books, we'll go through the top plays for the race based on all of these factors. But which drivers should we be keying on for the time being? Let's check it out. Here are drivers we should monitor for the Gander Outdoors 400 at Dover. 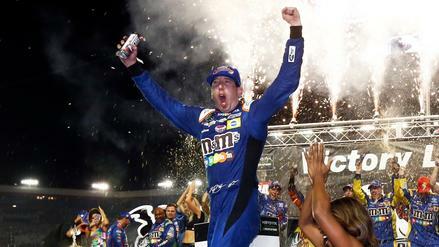 Kevin Harvick (FanDuel Price: $14,500), Kyle Busch ($14,000), and Martin Truex Jr. ($13,500): The playoffs have now reset as we kick off the second round, trimming the field of contenders to just 12 drivers. But even with that being true, all eyes should still revolve around "The Big Three." Each member of "The Big Three" has won a race at Dover within the past four trips here, but none of them has been as consistent as Martin Truex Jr. Truex has finished fourth or better in all four of those races, including a win in the 2016 fall race. Truex has been able to generate plenty of upside in that time, leading more than 100 laps in 2 of those races and 51 in another. He didn't have the strongest car here in the spring but still wound up finishing fourth. Kevin Harvick is the most recent winner at Dover, taking the checkered flag in May's running. 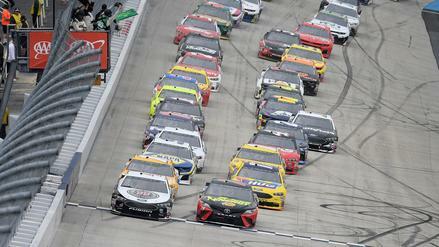 He led 200 laps in that race, the 3rd time in the past 8 Dover races that Harvick has led more than half the laps. Harvick had a mediocre 12th-place average running position recently at Bristol -- the track most similar to Dover -- but even with that, he's a definite contender here again. Even though Kyle Busch finished 35th here in the spring, Dover is still a track where he should compete. He has finished in the top two in three of the past six races here, including a win in last year's fall race. The problem with Busch is that he has finished outside the top 15 in the other three races in that span, meaning it's largely push for a win or bust. But the upside for a win is there, and that's what matters at this price. As far as ranking these three goes, Harvick likely belongs at the top thanks to his win at Dover in the spring and strong recent runs. Truex can sit in second thanks to his ability to rack up laps led at the track, and Busch will check in third place. All of these drivers are in play for tournaments no matter where they start in the field. Brad Keselowski ($13,000): Overall, we've talked about being skeptical of Brad Keselowski's three recent wins and trying not to overhype him relative to "The Big Three" due to a lack of dominance in those wins. But Keselowski was a front-runner here in the spring, and that was before things really seemed to click for Penske Racing. Back in the spring, Keselowski started in the eighth spot, not a position you normally find drivers who will lead a bunch of laps. Despite that starting spot, Keselowski led 108 laps, the most he has ever led in a race at Dover. Keselowski hasn't led 100 laps in any other race this year, but he has led at least 24 in 4 of the past 5 races. That's a strong showing, and he has the finishes to back it up. Because of this, we can put Keselowski right up there with the likes of Harvick, Truex, and Busch, even if he is less likely than those three to jump out and control the entire race. Jimmie Johnson ($10,400): Jimmie Johnson lost out on the second round of the playoffs in gut-wrenching fashion last week. That means Johnson's no longer in championship contention, lowering the significance of this race to him and his team. But we still shouldn't write him off for consideration given his record at Dover. Johnson used to be a plug-and-play option whenever the Cup Series came here because he could not be stopped. Johnson has 11 wins at Dover, and no other active driver has more than 3. Most of those are long in the past, but Johnson did win the spring race here last year, so it's not all ancient history. On top of that, Johnson had a decently strong car here in the spring. After starting 19th, Johnson had a 9th-place average running position and finished 9th. Johnson has had a top-10 average running position just nine times all year, but three of those have come at the three races between Bristol and Dover. His price is far from cheap compared to his current form, but if Johnson's in position to get place-differential points -- as he was in the spring -- we can look his way despite last week's disappointment. Daniel Suarez ($8,900): In three Dover races, Daniel Suarez has three top-eight finishes. That should be enough to put him on our radar at $8,900. The best race for Suarez at the track came earlier this year. He started seventh, ran up front the entire race, and wound up finishing third. That's tied for the second-best finish of his career and one of just four career top-five runs. Suarez is auditioning for a ride in 2019 and needs some good runs to up his appeal to teams like Stewart-Haas Racing. Given the success he has had at Dover in the past, he should hope other owners are paying attention this weekend. Matt Kenseth ($7,400): As is always the case with Matt Kenseth at Roush-Fenway Racing, we have to take track history with a grain of salt. He's no longer in the competitive equipment he had through 2017, so his stats at a track are largely tainted and irrelevant. But his teammates have done enough here recently to at least keep Kenseth on the map. Fellow Roush-Fenway Racing driver Ricky Stenhouse Jr. ($7,000) has finished 15th or better in 4 of the past 6 Dover races. That includes a 15th-place run this spring, but that came after he led 24 laps and had an 11th-place average running position. Compared to this team at other tracks, that's not bad. Kenseth didn't run either Bristol race nor at Dover in the spring, so we don't know what he'll look like at this track type in his new equipment. But Kenseth had tons of speed in Indianapolis last month, and he is a three-time winner at Dover, so he knows how to get around this joint. With pricing reflecting Kenseth's lower-tier equipment, he's a fine target if he starts outside the top 15. Kurt Busch ($11,700): As mentioned earlier, Bristol is the track most similar to Dover because of its high banking and fast speeds. The guy who won the Bristol race back in August is Kurt Busch, and he is on an absolute heater entering this race. Including that win at Bristol, Busch has had a top-10 average running position at seven straight races, the longest active streak in the Cup Series. This spans all track types from road courses to 1.5-mile tracks, but with Bristol being the peak, it's easy to see this success carrying over to Dover. We saw a flash of this in the spring Dover race, too, when Busch had a ninth-place average running position on his way to a fifth-place finish. Although pricing and the public won't regard them as such, Busch likely belongs in a tier similar to Keselowski, making Busch look like a strong play for DFS prior to practice and qualifying. Ryan Blaney ($11,000): It was a bit surprising to see Ryan Blaney pull off the win last week. He's not known as a road-course ringer, but he was in the right spot to pounce when Johnson and Truex had their kerfuffle. It would be far less shocking to see Blaney get to victory lane this week. The reasoning behind that is that Blaney mops up at both Bristol and Dover. At the three races between those two tracks this year, Blaney's average running positions have been second and sixth at the two Bristol races and seventh at the spring Dover race. He led at least 100 laps in both Bristol races, meaning he's capable of high-upside days at a lower cost than "The Big Three." Blaney's finishes on the whole this year have been inconsistent, but he has shown that he has the ability to run at the front and win races, especially at this type of track. He's a great tournament play if he qualifies up front, and we can rely on him in cash if he qualifies further back. Jamie McMurray ($8,200): Jamie McMurray is another driver -- like Suarez -- who currently doesn't have a contract for 2019. His current form, though, shows that he's still got something left in the tank. McMurray was right behind Blaney last week, taking home a second-place finish thanks to the Johnson and Truex spins. 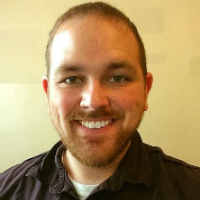 He has done well on ovals, too, with top-10 runs at both Darlington and Indianapolis within the past five races. McMurray also had a 16th-place average running position in Las Vegas before a crash cut his day short. Couple this current form with a top-14 average running position in 3 straight Dover races, and it seems that McMurray is a great choice for place differential if he slips to 15th or lower in qualifying. Alex Bowman ($7,800): Alex Bowman was the last driver to qualify for the postseason, holding down the 16th spot based on points. He's now into the round of 12 based on some strong runs in the opening three races. Bowman has had a top-15 average running position in all three playoff races, including a 10th-place average at the short track in Richmond. Bowman pulled out a fourth-place finish at the Charlotte road course to punch his ticket to this round. On top of that, he has been strong at Bristol, inspiring confidence for this weekend. Bowman finished fifth and eighth, respectively, in the two Bristol races with an average running position of 14th or better in both. He finished 23rd in the spring Dover race, but that was after he led 26 laps early on. Bowman's cheap and has the ability to get a top-10 finish, so he would be a strong play if he were to start outside the top 10. Paul Menard ($7,100): Paul Menard's finishes at Dover are lackluster at best with 4 straight finishes of 22nd or worse. But he had speed here in the spring, and he has shown some of that same speed toward the end of the summer. 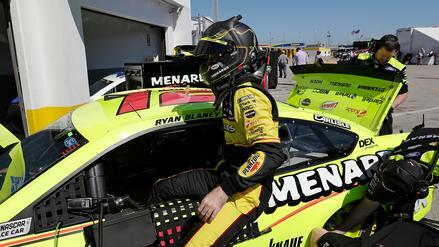 In that spring race, Menard had the fastest car in the first practice and was ninth in final practice. He looked like a great DFS play because he was starting all the way back in 20th. But a tire issue got him in trouble early, and he wound up finishing 34th. Clearly, his car was better than that finish would indicate. Menard has been holding that quickness through the ends of races more recently. He pulled out a 9th-place finish in Indianapolis and was 10th in Las Vegas. If Menard winds up starting 20th again this weekend, we should go back to the well and give him another shot.